Lucky guests at Scotland’s biggest food and drink awards were wowed by a sure fire winner – when caterers unveiled the menu for the evening. More than 800 attendees were in the dark about the carte du jour until the last possible moment, with the meticulously planned three courses a closely-guarded secret for the Scotland Food & Drink Excellence Awards. Months of planning and preparation paid off, when the 120-strong team from Sodexo Prestige Venues & Events unveiled a selection of creative dishes made with the finest produce from Scotland’s larder. They featured white crab from Eyemouth, Stornoway black pudding purée, new season Perthshire strawberries and fresh Scottish asparagus, available for just three weeks of the year – and even included both wild garlic and elderflower hand-foraged by dedicated chef Tom Beauchamp. Despite having to serve more than 800 diners in an incredibly tight time frame, the Sodexo Prestige team were hailed for not only pulling it off – but doing so with invention and panache. 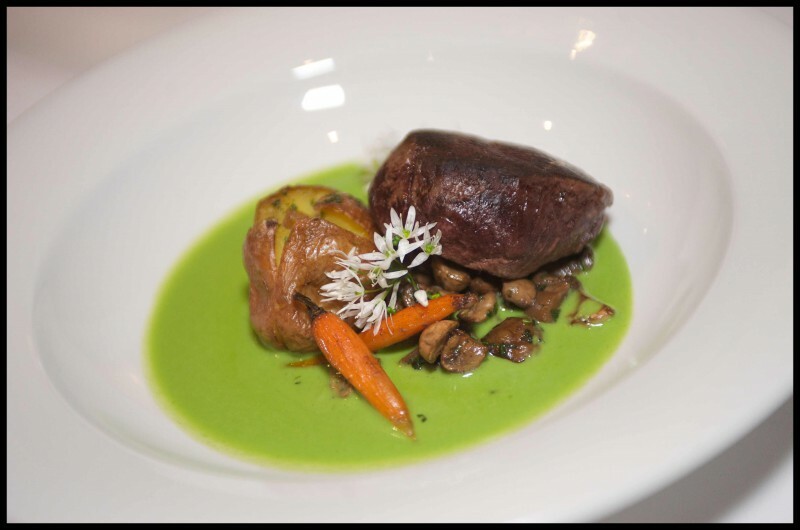 Sophie Fraser, Communications & Marketing Manager at Scotland Food & Drink, said: The final menu was beautiful – not just in taste but also in the way it was presented. 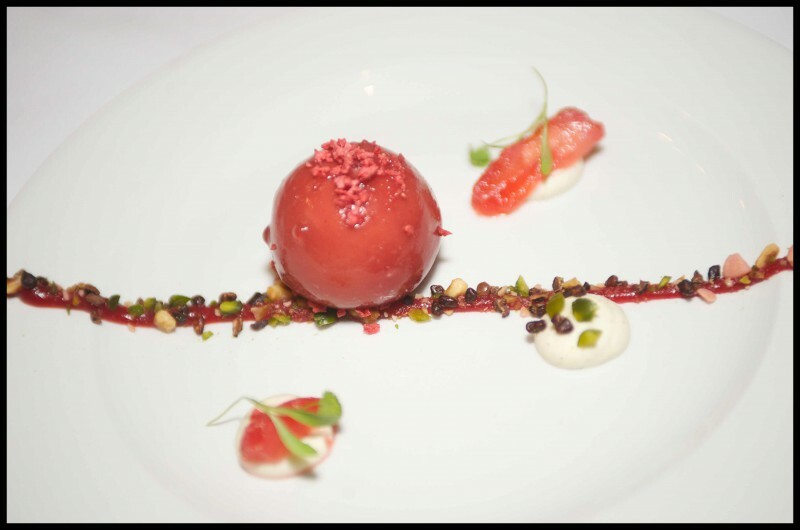 “The dishes were very striking with lots of seasonal flavours and played on what is tasty at this time of year – the strawberries and light sauces in particular give it a lovely, summery feel. Chef Tom Beauchamp and planning specialist Sandy Robson led the Sodexo Prestige team. Talented Tom, who heads up the company’s development kitchen at South Queensferry, called on his years of training in Michelin starred restaurants while devising the menu. It started with a cured and confit salmon, served with Eyemouth white crab, heritage tomato sorbet and Scottish asparagus, with kale and almond pesto, an unusual and creative fusion of flavours. And it was rounded off with a dessert cunningly named Str-orb-erries and cream, which featured Perthshire strawberries, hand-picked elderflower and a quirky crumb, all cleverly shaped into an eye catching globe. The meal went down a storm with 812 discerning Scottish food and drink experts gathered at the National Museum of Scotland (May 27) for the awards, which saw 23 accolades handed out, including in 19 fiercely contested categories. 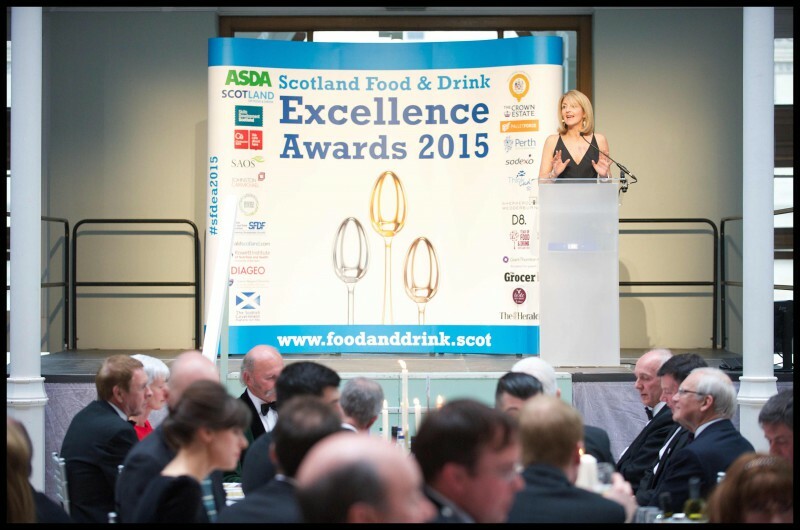 The event is a highlight of Scotland’s Year of Food and Drink. Sandy Robson, Account Director at Sodexo Prestige, who graduated from Napier University with a BA Hons in Hospitality Management after leaving Peebles High School, explained the huge importance of using ingredients supplied by local producers during Scotland’s Year of Food & Drink. He added: “Tom and his team of chefs really excelled themselves. It takes something special to serve 800 people, but really pushes the boundaries to do so while impressing the cream of the food and drink sector. Scottish suppliers are at the forefront of what we do, so this was essential when we designed the menu. For instance, the Scottish asparagus used for the starter only has a season of two and a half weeks, so it was very touch and go to secure it. “Tom even hand-foraged some of the ingredients himself, including the wild garlic and the elderflower for the dessert. The Sodexo Prestige team included 80 members of waiting and bar staff, all drawn from the Prestige People talent pool. Having created the pool of fully-trained casual workers, it means the firm has efficient, knowledgeable and well-drilled people, instead of being reliant on agency staff.